Press the buttons and listen to the sounds of the baby animals! 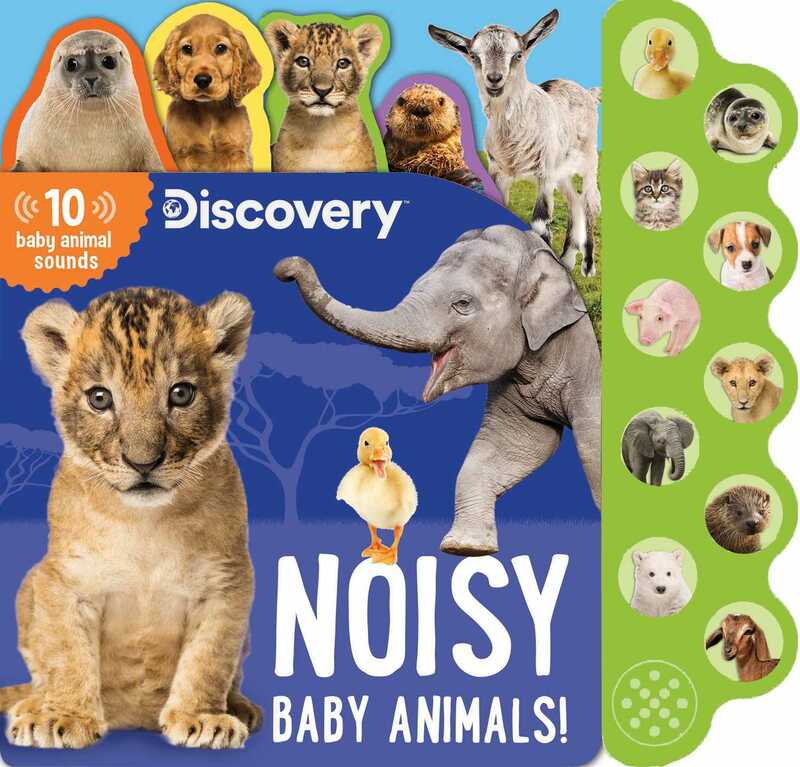 Puppies, kittens, cubs and chicks—meet all sorts of noisy baby animals with 10 cute sound buttons! Play, grow, explore, and cuddle with adorable babies while you learn about their families in exciting photographic detail in Discovery Noisy Baby Animals. Then press the buttons to hear each sound! Book Cover Image (jpg): Discovery: Noisy Baby Animals!